Reviers is a village lying 18 kilometres east of Bayeux, 15 kilometres north west of Caen and 4 kilometres south of Courseulles-sur-Mer. 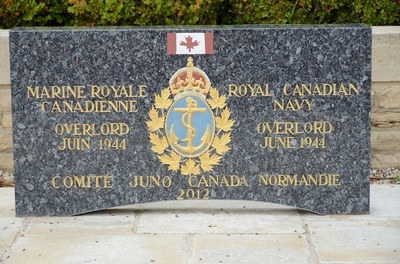 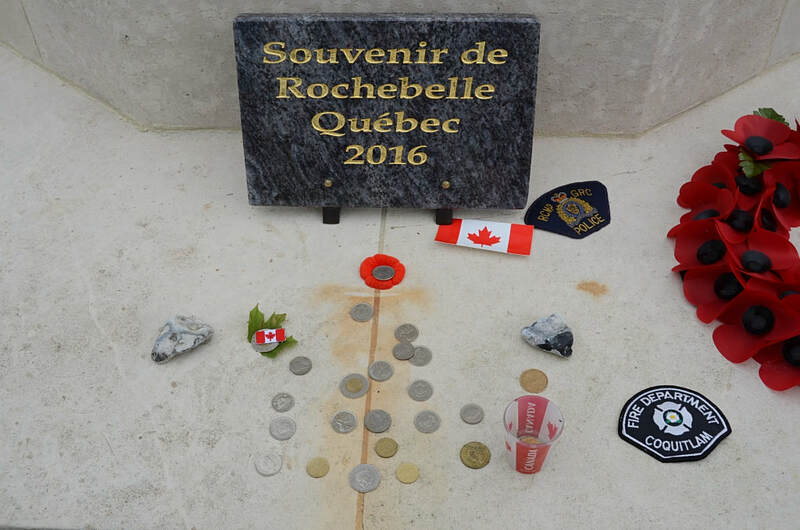 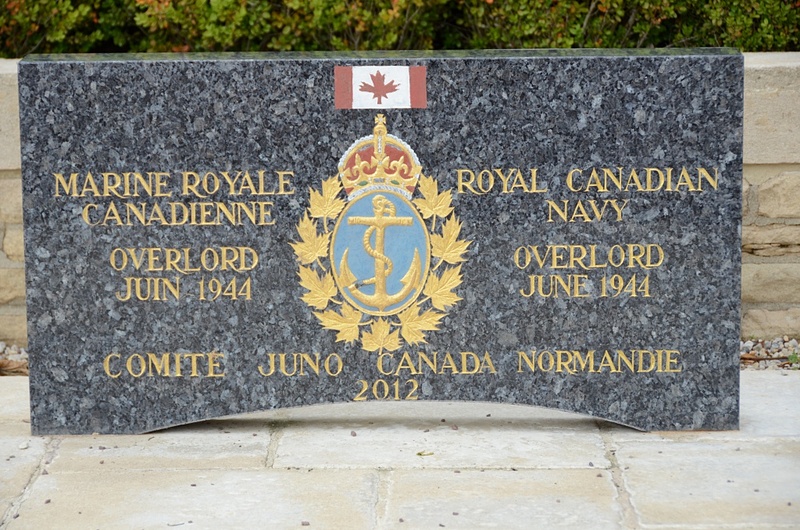 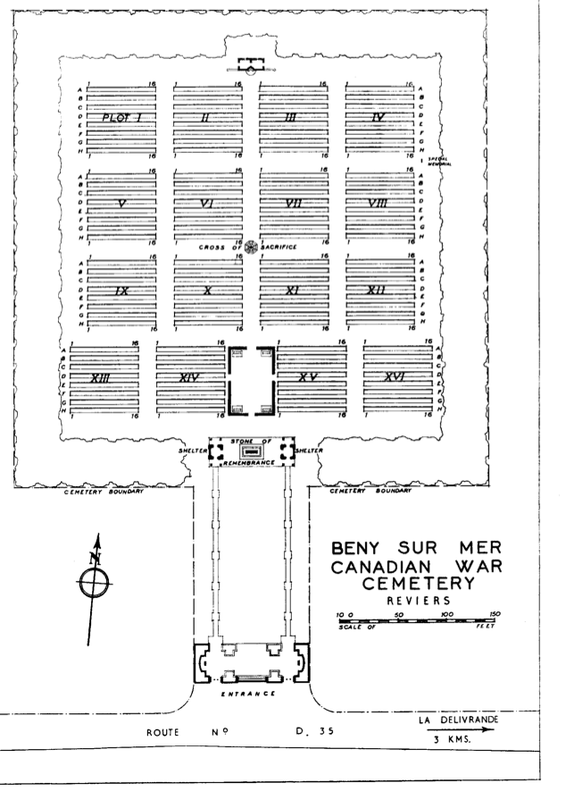 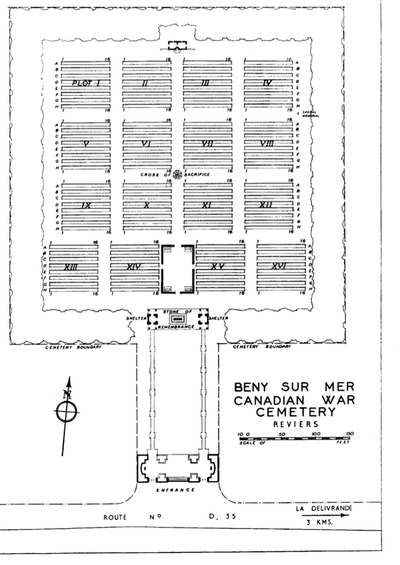 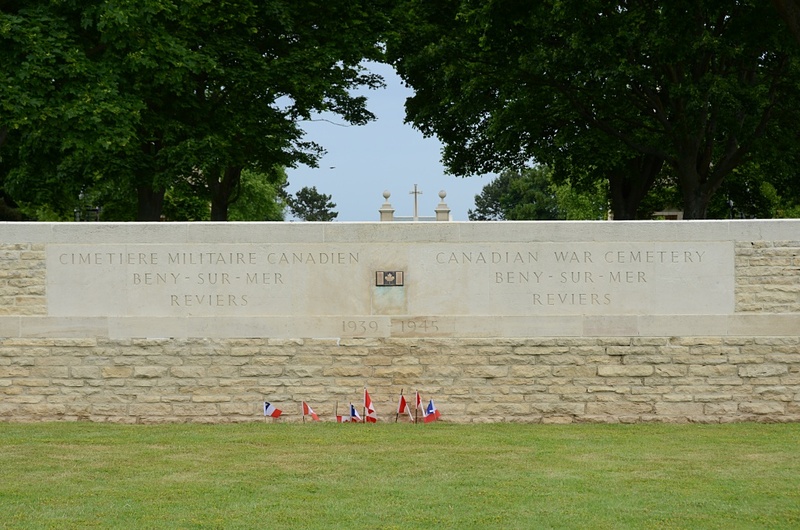 Bény-sur-Mer Canadian War cemetery lies on the north side of the main road 1 kilometre east of Reviers. 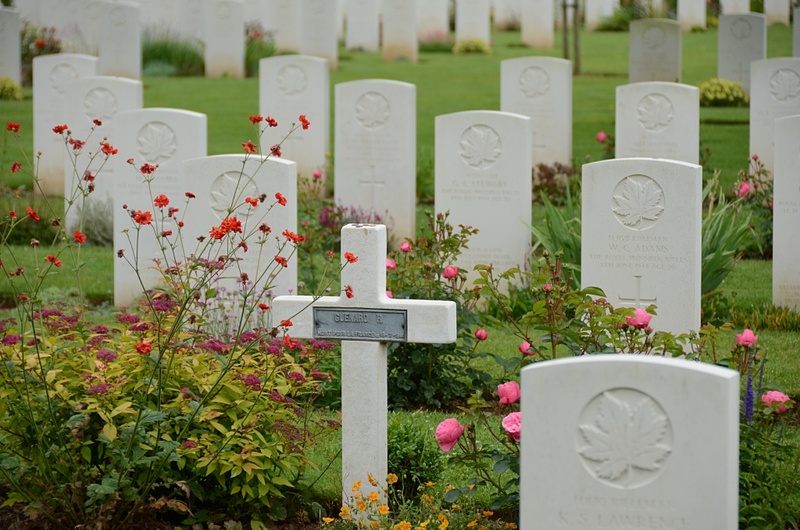 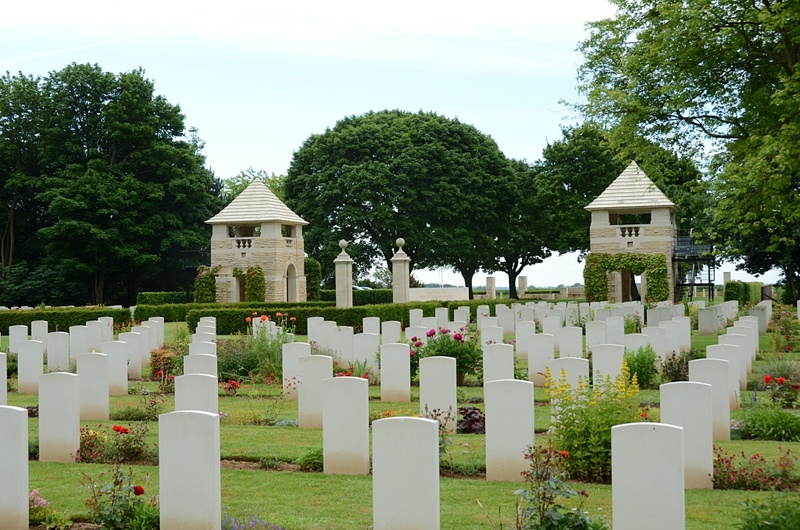 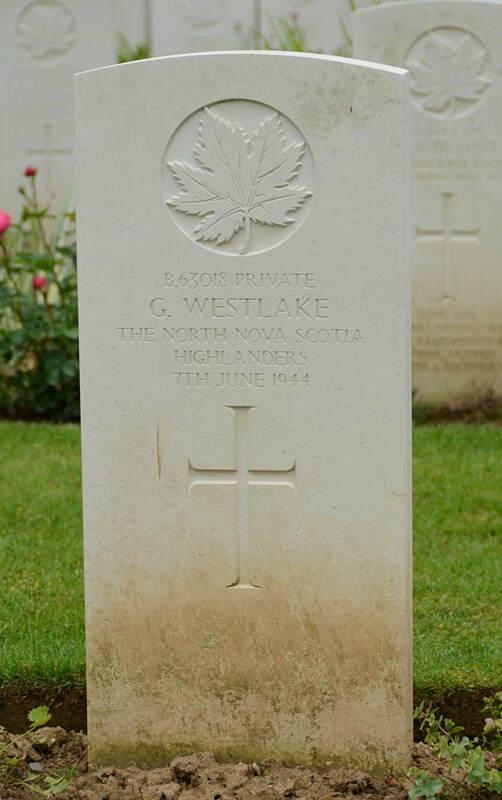 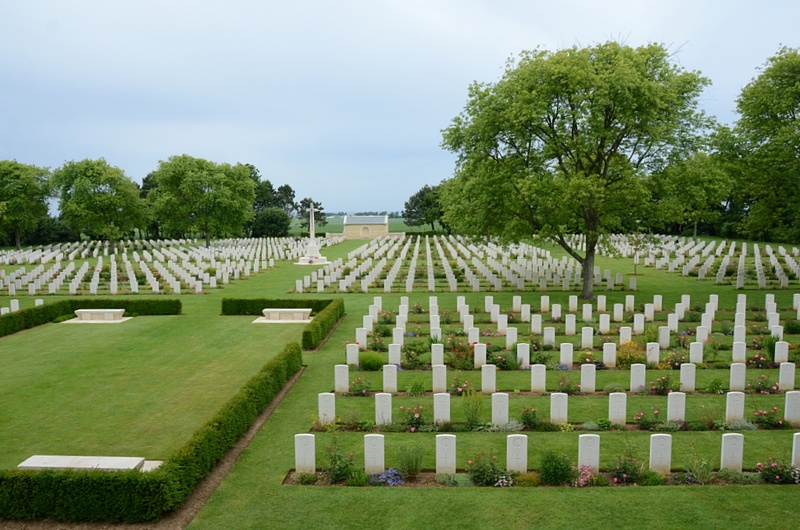 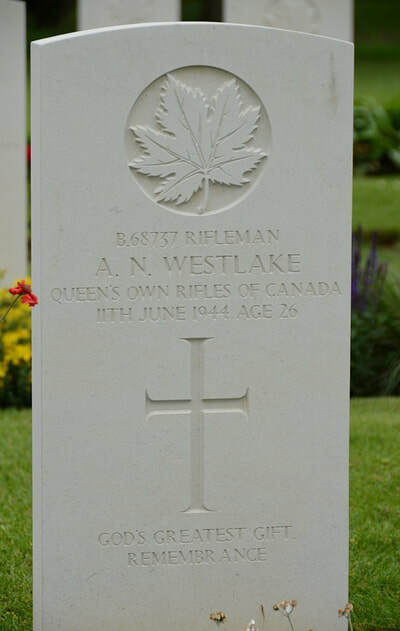 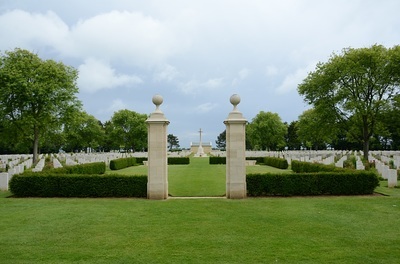 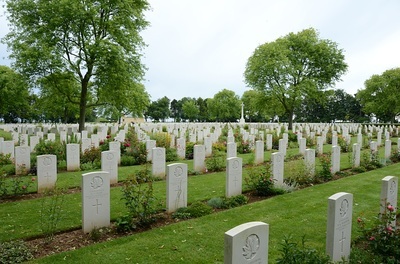 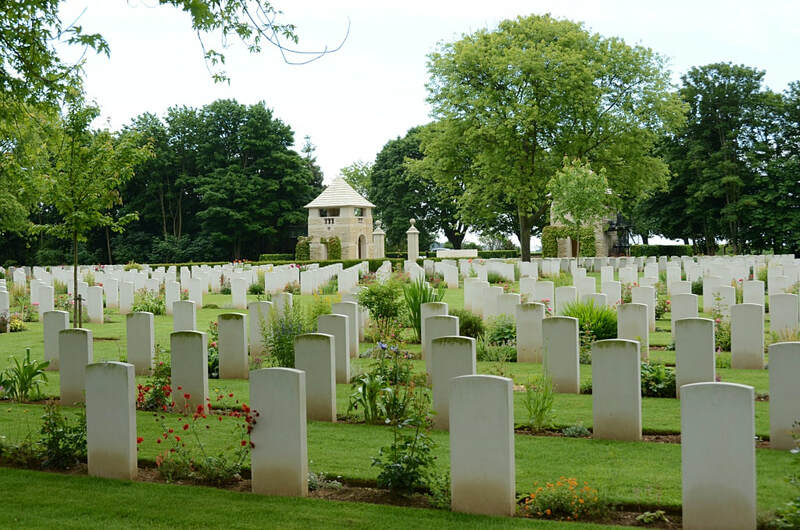 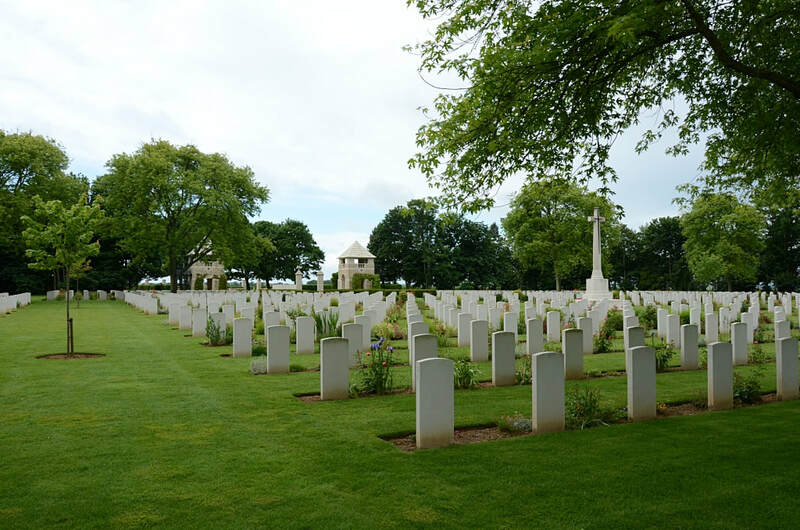 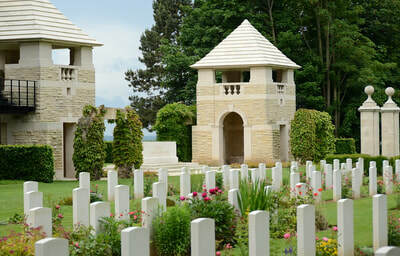 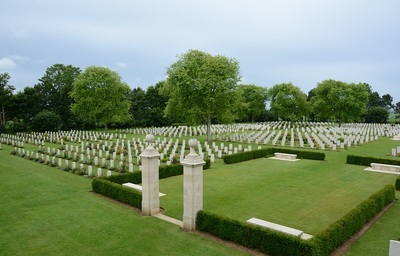 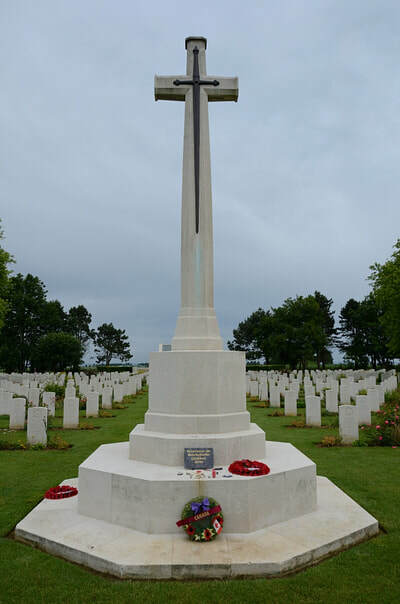 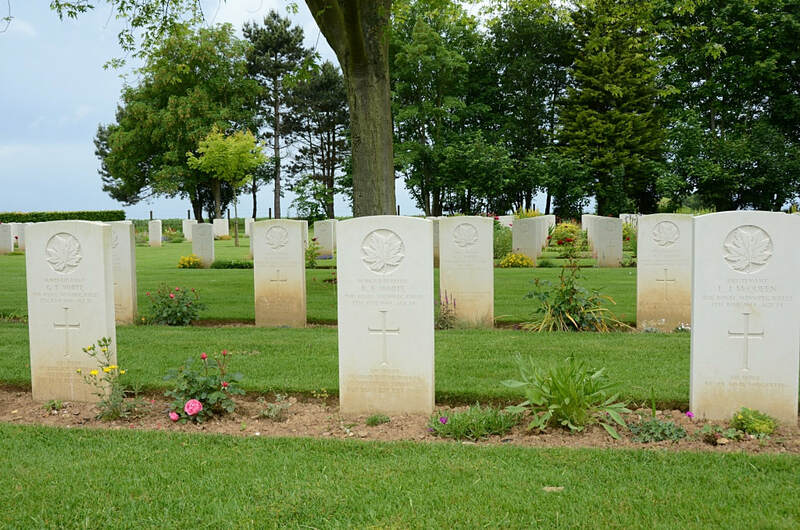 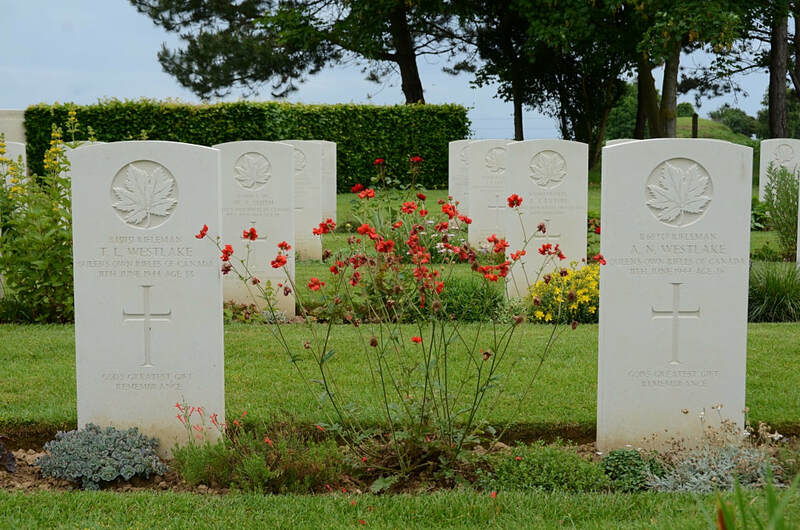 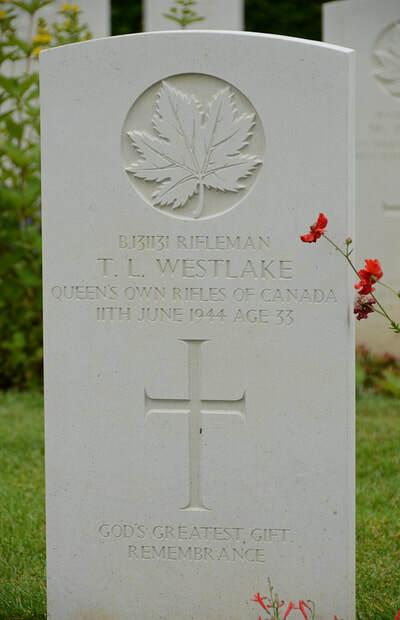 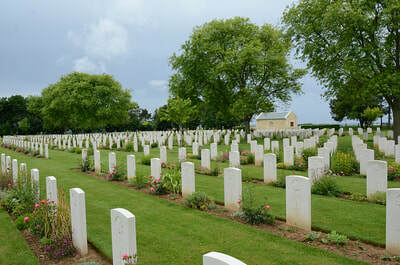 Many of those buried in Beny-sur-Mer Canadian War Cemetery were men of the 3rd Canadian Division who died either on 6 June or during the early days of the advance towards Caen, when the Division engaged a German battle group formed from the 716th Division and the 21st Panzer Division. The cemetery, designed by P.D. 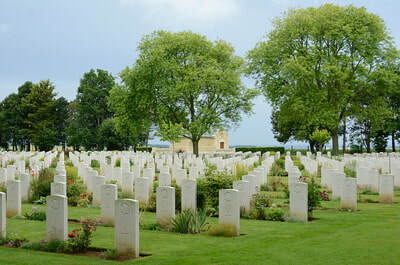 Hepworth, contains 2,048 Second World War burials, the majority Canadian, and 19 of them unidentified. Stormont, Dundas and Glengarry Highlanders, R. C. I. C.
8th July 1944, aged 21. 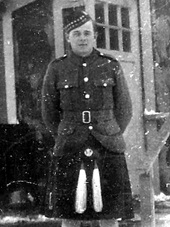 Son of Harold Edmund and Ketha L. Giffin, of Brockville, Ontario. 8th July 1944, aged 26. 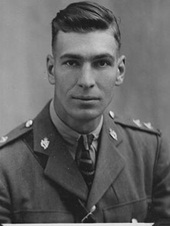 Son of Donald O. and Nellie C. Smith; husband of Mabel Norma Smith, of Toronto, Ontario.